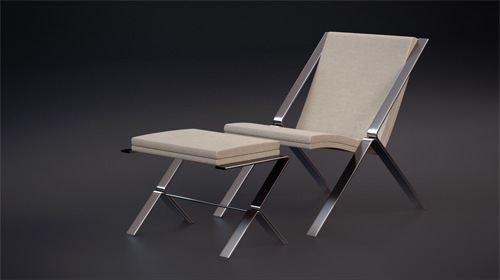 Here is another great download for anyone using Blender for architectural visualization, ad this time is an Elle Chair designed by John Niero. This 3d model was posted at the YafaRay user forums and was created by an artist called stoneage. You will find the link for download at the YafaRay forums thread. This is another nice resource for artists that would like to use a chair like thise on his projects. Of course, the original model was rendered using YafaRay, but it shouldn`t be a problem to render with Cycles or LuxRender. Just change the materials settings for the 3d model.